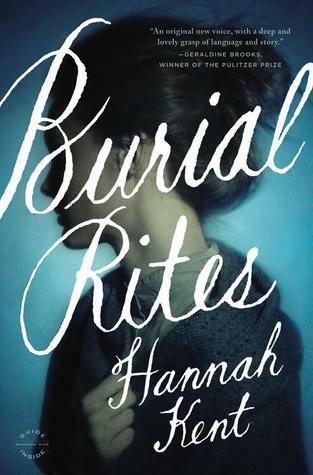 I realise that I may be the last person in the world to read ‘Burial Rites’, Hannah Kent’s much lauded debut novel. It caught my eye a long time ago, when it was newly published, I acquired a copy, but when it arrived it didn’t call me. I think that maybe I read a little too much about it, maybe I felt that what I read and the knowledge that it was based on real, historical events said to me that there was less reason to read this book that there were to read other books. I picked it up a little while ago, because it had been waiting for long enough, and it was time for me to either read it or let it go. When I started to read I discovered that, though the story played out much as I thought it would, though there were no real surprises, the telling of the story was so very good that I had to keep reading. The story opens in 1829, a year after Agnes –and two others– had been found guilty of the two murders. Agnes was sent north, into the custody of District Officer Jón Jónsson, to work on his farm until the time came for her execution. where she will await the day of her beheading. District Officer, his wife Magrét and two daughters, Lauga and Steina, all of whom regard her with suspicion and distrust, but as they had no choice in the matter and they had to find ways to cope. Allowed visits from a spiritual advisor , to prepare her for what lay ahead, and Agnes asked for the Assistant Reverend Thorvardur Jónsson. He had no idea why he had been chosen. He was young and inexperienced, and he knew that he was ill-equipped for the role he was called upon to play. In time Agnes proves herself to be a good worker on the farm, and quiet and obedient in the house. The family relax, just a little, and Agnes realises and appreciates that. She begins to wonder if a reprieve as possible; and she slowly begins to talk about her past, and about the events that led up to the night of the murders. The story is so well told. The prose is cool, clear and compelling; perfectly matched to the story. The setting: 19th century Iceland, its landscape, its climate, its small rural communities are as caught perfectly. The isolation of the farms and the claustrophobia that comes when many people must share a small farmhouse are particularly striking. And the atmosphere is exactly right. The narrative moved from the third person (for the District Officer’s family and the Reverend) and first person (for Agnes) quite naturally, and very effectively. It offered insights into all of the characters thoughts, and it placed events on that terrible, fateful night, as they were lived through by the person charged with the crime, at the centre of the story. Agnes’s story was harrowing, but it was utterly believable. At times it was difficult to read, already know how her story would end, but she had become real to me and so I had to keep turning the pages. I can understand why ‘Burial Rites’ has been so lauded. The story is compelling and thought-provoking; the writing is rich and atmospheric; and it’s hard to imagine that a better story could have been spun around the known facts. My only disappointment was the inevitability of it all. Of course the ending was inevitable, but I couldn’t help feeling that one thing that stood against that, one thing that suggested things really could be different, might have – for me – been the spark that would transform this book from ‘very good’ to ‘great’, from ‘memorable’ to ‘unforgettable’. I’m sorry that I couldn’t find that spark. In the end I found much to admire but I found little to love; and now I’m not sorry that I can let go of what is ultimately a dark story with an unhappy ending. 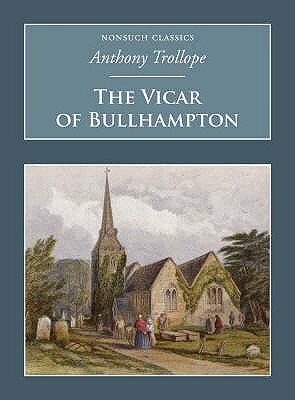 I picked up ‘The Vicar of Bullhampton’ because I was looking for a Trollope that didn’t centre around a will or a court case. I should have read the synopsis a little more carefully because there is a court case – one concerned with crime this time, not inheritance – but I didn’t mind too much, because I found much to enjoy in the three entangling stories involving said vicar. This isn’t my favourite Trollope – and it’s very nearly a curate’s egg – but I did find a great deal to enjoy. I was very taken with the vicar – Frank Fenwick – who was a good and compassionate man, with a stubborn streak that stopped him being too perfect. I was equally taken with his wife, Janet, and I loved the relationship between the two of them. They had a real, believable genuinely happy marriage. The first story is a classic Trollope love triangle, concerning the possible marriage of Mary Lowther, a childhood friend of the vicar’s wife. The Fenwicks promoted a match with Harry Gilmore, a Bullhampton squire and an old friend of the vicar. He fell in love with her; Mary recognised that he was a good man, but knew that she did not him as a wife should love her husband. When Gilore proposed, she does not reject him outright, but she asked for time to consider. Because she knew that he was a good match, and that maybe she would never find her true love. Mary did find true love, with her second cousin, Captain Walter Marrable. But their circumstances meant that they were not in a position to marry, and that they maybe never would be. My feelings about Mary changed over the course of the story. I worried at first that she would be another Alice Vavasor; when I realised that she wasn’t I came to like her and feel a great deal of sympathy and empathy; sadly that didn’t last. I’m afraid that Mary – as is often the way with people in love – became oblivious to the feelings of others. And it didn’t help that her family story was a little too broad and the development of her true love a little difficult to believe. It wasn’t that it was bad, but I know that Trollope can do much, much better, and I enjoyed the other strands of the story more. The second story is of the family of Bullhampton’s miller, Jacob Brattle. His youngest son, Sam, had been a hard worker at the mill, but when he fell in with bad company his standards slipped and he was absent far too often. When a Bullhampton farmer was murdered in the course of a burglary suspicion fell of Sam’s associates, and it was known that he had been with them. The vicar had known Sam since he was a young boy, he believed him when he said that he was innocent, and he did his best to help. He also tried to reconcile the miller with his daughter Carry. She had been seduced by a soldier, she had been thrown out by her appalled father, and since then she had been living as a ‘fallen woman’. This being a Victorian novel Trollope did not address the question of how she survived as a woman alone, but his meaning was clear. Her situation was complicated by her involvement with one of her brother’s associates; but that might also be the key to saving her brother and reuniting her with her father …. I loved the twists and turns of this story, and I loved the very real emotions and reactions of different family members. But what made this book exceptional was the portrayal of the ‘fallen woman’. She wasn’t repentant and striving to be virtuous, she wasn’t defiant and falling further, she was simply a young woman struggling to come to terms with the consequences of what had happened and the harsh realities of this situation. This is what I love about Trollope. He’s utterly conventional, writing about the natural roles for women being marriage and motherhood, but on the other hand he clearly hoped for a society that had understanding and compassion for those who struggled to reach those goals. This books illuminates those different sides of Trollope better than any of the others I have read. I couldn’t completely believe the way the story of the Brattle family played out, but it felt right – emotionally and psychologically – and I wanted to believe it. The third story concerned the Marquis of Trowbridge, Bullhampton’s principal landowner. He was so appalled when the vicar took up Sam and Carry Brattle’s causes, that he gives the Methodist minister, Mr Puddleham, a plot of land on which to build a new chapel – a plot of land right opposite the vicarage gates. The Fenwicks were aghast as a red brick edifice grew higher and higher, but they had no idea what they could do about it. Until Mrs. Fenwick’s brother-in-law, a brilliant London barrister, looked into things …. This story balanced the others beautifully, with a well judged mixture of drama and comedy. Indeed the balance was what struck me about the whole book: three stories different in tone and content, considering many aspects of the human condition, considering many sides of society, And yet they sat quite naturally together, speaking, profoundly and movingly, about forgiveness, about acceptance, and about reconciliation. I found much to love. Wonderful, real, believable human characters and relationships; lovely letters, reported by an author telling the tale in his own inimitable style; and a large village – or maybe a small town – in the Wiltshire countryside. And in the end the strength of the whole allowed me to let go of the weaknesses of some of the parts. ‘Vain Shadow’ was Jane Hervey’s first novel; written in the 1950s but put away and not published until 1963, and now reissued as a Persephone book. It tells a very simple story; the story of an English family in the middle of the twentieth century, the kind of family that had a country house, a small staff, tenants on its estate, over the four days between the death and the funeral of its patriarch. It’s simple, but it is special because it is so very well executed. There are just four chapters – one for each of those four days – observing the widow, the adult children, and the one adult grandchild – daughter of a daughter who had died – and their spouses as they do the things that must be done in that particular period, and begin to come to terms with what the death will mean. The bereaved family is more concerned with that than with grief for the dead Colonel Winthorpe. When his nurse, preparing to take her leave, stops to rest on ‘his’ chair they react to that as an inappropriate act without the slightest emotional reaction to the fact that he will never sit there again. The picture that they paint of him is the picture of a tyrant, a man who bends his family to his will, and takes pleasure in doing so. This is not a happy family; it’s a family that has walked through life as it walks through these four days; following the rituals, observing the proprieties, but never sharing their feelings and never ever talking about the things that really matter. It was interesting to observe that his staff and his tenants felt the loss much more, and dealt with the things that they knew should be done so much better that the family. They gave willingly to a collection for a wreath; and the time that they came to the house, to walk past the coffin and to pay their respects was the most moving in the whole story. It also gave more depth to the picture that Jane Hervey painted of the family. She is an incredibly perceptive writer; drawing each character, and each relationship, clearly, distinctively and believably. She is particularly good at sibling rivalries, and the position of those who have married into the family. And she has a wonderful eye – and ear – for a telling detail. The son sending back his breakfast egg, because it is not exactly how he likes it. The widow’s repeated murmur that now she could have the peach bathroom she had always wanted. The housekeeper sailing off erect on her bike, to tell that tenants on the estate everything that they needed to know. Choice possessions being shared out to save a little on death duties. She moved skilfully between each and every member of the family, missing nothing of any importance. Even more skilfully, she moves between observation of the characters and their individual streams of consciousness, and she makes it feel entirely natural and right. The widow and the granddaughter were at the centre of the story. One felt her life was over, that it was too late for her to change. The other felt that she had to make a change, that it was time for her to live that life that she wanted. There were times I might have laughed and there were times I might have cried, but I did neither. Because Jane Hervey walked the line between those two things so very, very well, and because this story, this family, this situation, felt so horribly, utterly real. I read that this story is – at least in part – drawn from life, and I don’t doubt that for a moment. It’s not an easy book to love, but it is a very fine piece of writing, it is utterly compelling, and it has left words and images in my head. I hope – and I think I believe – that Jane Hervey was the young woman who saw a chance to change her life, and I hope she seized that chance. This is a beautifully written story, it speaks profoundly, and I know that I am going to go on thinking about it for a very long time. It begins in the middle of the eighteenth century, with a girl child who lives on the streets. She and her brother had only their wits to live on, stealing what ever they could to survive from one day to the next. I was captivated by this child, by her life and her spirit, by her utter reality, before I even knew her name. And I knew that I had to follow her story before I understood why. The day came when she was caught in an audacious act of thievery; and she was taken to an institution for destitute and friendless children. She was heartbroken to be separated from her brother; she knew that he had been seized by what she would later learn was a press-gang, but she couldn’t tell what was his name, what was her name, what was the story of her life. She was given the name Dawnay Price, for the man who had taken her from the streets, the man she would come to know as her ‘benefactor’. Because it was her great good fortune to have been taken to an enlightened institution, where it was believed that even an impoverished, uneducated, unwanted orphan could be raised to a place in the world. As Dawnay was raised she developed a fierce intelligence, a burning curiosity about the world and everything in it, and a passion to learn and discover everything she could. She had a calling to be a natural philosopher – and the belief that she could be just that. It didn’t occur to her that she couldn’t – because she was a girl, because she had no means – because she hadn’t been raised in a family, in a world, that said she couldn’t. That was wonderful, and Dawnay’s voice was to real and so engaging. It reflected her intelligence, her passion and her scientific outlook on life. She has the good fortune to meet people what are able to help her, and the even greater fortune that they are open-minded enough to give her a chance and to be won over by the wonderfully persuasive way she argues her case. Dawnay wins wonderful chances, to study, and to travel so that she can discover more and theorise more about the world around her. She sees wonderful things, she has remarkable experiences, and she continues to blaze a trail, never accepting that she should be restricted in her quest for knowledge and understanding. In time she formed some very advanced – and very controversial theories about the world, about how it came to be, and about how it came to be what it was. I was utterly captivated by Dawany, by her story, by her experiences. She was – they were – so utterly real, and I was infected by her life and her spirit. She reminded me how marvellous it is to be alive in the world, to travel, to learn, to experience. The world that she moved through, the people that she met, the things that she experienced, were every bit as vivid, every bit as alive as she was. I was smitten and I turned that pages very quickly, because I was so eager to now how the story would play out. I appreciated the wonderful depth and breadth of research that underpinned everything; it was lightly worn but it was clearly there, and I couldn’t doubt for a minute that the author loved everything that she learned and everything that she wrote about. She told her story so very well, and she wrote beautifully. There were evocative descriptions and tumbling lists that captured Dawnay’s interest in the world, there was cool, clear storytelling that reflected her scientific outlook, and there were so many ideas, so many lovely details, to consider. There was drama, there was humour, there was tragedy – everything that a life story should have. It might be said that Dawnay was lucky, and yes she was, but to some degree she made her own luck. History is full of stories of women who stepped outside the confines of the society and the situation they were born into. She did have setbacks too. I noticed similarities in theme between this book and Rebecca Mascull’s first novel – The Visitors – but I appreciated that they were different in so any ways. I’m inclined to say that the first book was tilted more towards the heart and this one was tilted more towards the head; I loved both, for the same and for different reasons. A love story does evolve in the latter part of the book; it’s as unconventional as its heroine, and that felt right. The events and the emotions of the closing chapters were unexpected but utterly right. I know that there are any more things to be said about this book; and I’m sure that there were things that passed me by because I was so caught up with Dawnay and her experiences. But I’ll just say one more thing – and that’s that I loved the heart and soul of this book. This is not the book that I expected it to be – it’s more in some ways but less in others. 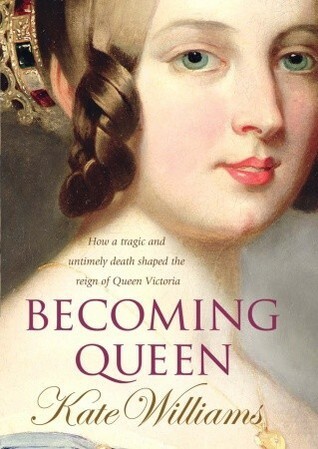 The title, the image on the front cover, the words on the back cover – they all suggest that this is a book about the early years and the beginning of the reign of Queen Victoria. And it is, but there’s a great deal of ground to cover before the story gets there, because this story goes much further back. It tells the story of two young women who might have been Queen. Each was her presumptive to the British throne, each seemed likely to ascend to that throne, but only one of them did. And she was only born because the other did not. It’s an amazing true story – or it might be truer to say a series of stories – very well told, in a style that is both chatty and informative. It’s clear that the storyteller knows and loves her subject, and that she is eager to share what she knows. Princess Charlotte of Wales was born in 1796 to Prince George – later Prince Regent, later George IV – and his wife, Princess Caroline of Brunswick. Although her parents adored her, they detested one another and used her as a weapon in their squabbles. She had a lonely childhood, surrounded by governesses and servants but seeing few other children, and seeing her parents very rarely. And athough it was apparent early on that she might become Queen of England, she was given little education or preparation for the role she was expected to be called upon to play. Charlotte was born into an age when the large, profligate royal family was poorly regarded by its subjects. But she was popular; the hope of not just the masses but also those of the upper class who saw the desperate need for reform. Her dissolute, spendthrift father hated that, and so he did his level best to keep her away from the public gaze, shut up in a grand mansion run by his own trusted servants. .
She grew up to be spoiled and wilful; but she also grew up to be vibrant, energetic, and very good at managing people. Charlotte was eager to escape from her father’s tyranny, and her father was eager to marry her off to a foreign prince and hopefully get her out of England for at least part of each year. The young couple were married on May 2, 1816, and then moved into their Surrey estate, Claremont House, where for the first time in her life Charlotte was secure and happy. Very soon she was expecting a child. On November 5, 1817, after nearly three days of labour, Charlotte gave birth to a stillborn boy. The next day, she followed him to the grave. Public grief was overwhelming. And after the Prince Regent and his six brothers, there was no heir to the throne. George III had ore than fifty grandchildren, but not one was legitimate. Charlotte’s death set off an unseemly rush to the altar by several the of the sons of George III. Mistresses and morganic wives were cast aside. The Duke of Kent, a lifelong military man, set out to court Prince Leopold’s widowed sister, Victoire. They married in 1818, and barely nine months later, the duchess gave birth to a girl, who would be named Alexandrina Victoria. The Duke died before his daughter was a year old. Her mother kept her close, and kept her away from the world, determined that she would reign as her daughter’s regent. William IV – her uncle, who had come to the throne after the death of George IV – steeled himself to live long enough for his niece to come of age, so that she could rule without a regent. And her widowed uncle, Prince Leopold, who later became King of the Belgians, remained close to his sister and niece; and he spent years groomed his young nephew, Price Albert of Saxe-Coburg and Gotha, for the role that Leopold himself had hoped to assume – Prince Consort to the Queen of England. That story rolls on until Victoria is a wife and mother and twenty-two years old – the age that Charlotte was when she died. The telling of this whole extraordinary story is wonderful; it’s full of detail and it is clearly underpinned by a great deal of research. I loved that it made history a very human story. But I was disappointed that it didn’t highlight the parallels between Charlotte and Victoria, and that the author seemed more interested in comparisons with the present day. I was disappointed with that lack of analysis generally, and that momentum of the story overtook almost everything else. I was left to do all of my own thinking, and I loved doing that but I couldn’t help thinking that I shouldn’t have had to do quite so muc hwork. And yet I was engaged from start to finish by a story I already knew; I had a lovely time reading, and I am eager to read more about many people and events that this books touched upon. The name ‘Praed’ speaks to me of home: because it is very much a Cornish name, and because we have a number of paintings of familiar places, painted by an artist of that name, in out home. That was why the name of Rosa Praed, 19th century author, caught my eye. I couldn’t find a Cornish connection, indeed she came from the opposite side of the world, but when I read about her, and about her books, I was intrigued. 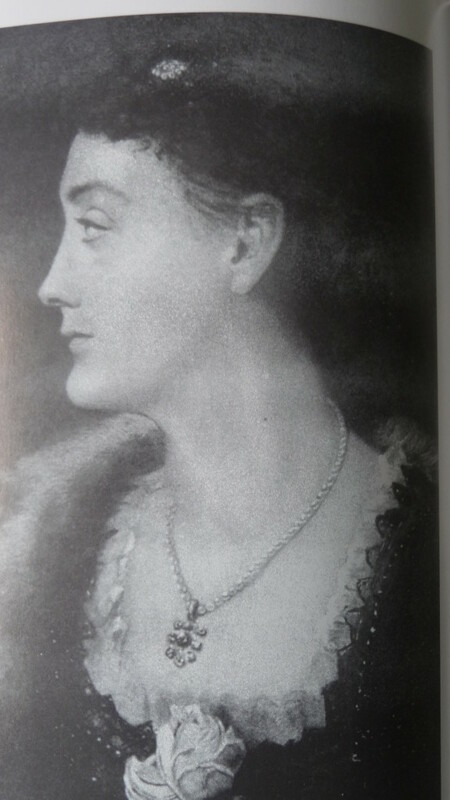 Rosa Praed was an Australian author, maybe the first to be acclaimed at home and internationally, and though her husband’s career took them to England she continued to write novels set in her homeland. She published more than twenty books between 1880 and 1916, and I liked the look of any of the, but ‘Policy and Passion’ was the book that caught my eye. 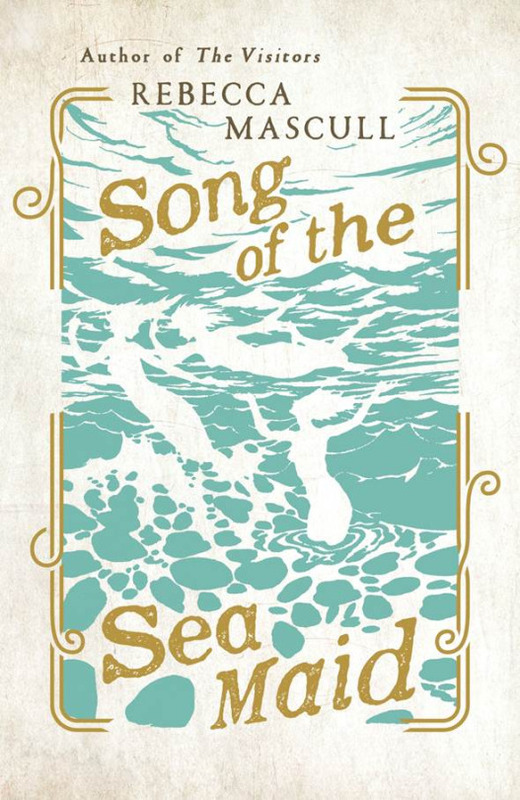 It filled a year in my 100 Years of Books project, and that title made me think of my beloved Mr Trollope …. It might well have been influenced by him, but Rosa Praed was the daughter of a cabinet minister and this story is firmly rooted in her world. At its centre are a father and a daughter. Thomas Longleat had risen from humble origins to become Premier of Leichardt’s Land (Queensland). He was charismatic, he was respected by his parliamentary colleagues, and he was popular, particularly with the working-classes. A knighthood from Queen Victoria should have been his for the taking, but he made a fatal misstep. He fell in love with the wife of a colleague, Constance Vallancy, and he made use of his position to send her husband away travelling so the he could spend time with his wife. Passion blinded his political judgement and of course there would be consequences …. Honoria was the Premier’s elder daughter, and she was poised between childhood and womanhood. She was beautiful, she was headstrong, and she lacked a mother to guide her. She turned away an a very eligible suitor, a rising politician loyal to her father, when she was charmed by Hardress Barrington, a visiting English aristocrat. She didn’t know that he would never contemplate marrying the colonial daughter of a self-made man, and that he had it in mind to set her up as his mistress in an establishment of her own. She would find out ….. The characters of father and daughter, and the relationship between them, are beautifully drawn. They were utterly believable and understandable, the products of their lives, their circumstances and their times. I felt for them, and at ties I was infuriated by them. The dialogues between them – as each saw the failings of the other and their beloved that the other was blind to – were marvellous. The others around them and the world that they moved through were just as well drawn. I never doubted that I had been pulled into a very real time and place. The writing was both clear and lovely, the storytelling was wonderfully engaging, and so I had to keep turning the pages; I was always involved, always anxious to know what happened next. The two storylines were distinctive, but of course they overlapped, and they were woven together, they worked together beautifully. The father’s political crisis and the daughter’s coming of age would coincide. The story came dangerously close to melodrama, but it worked because everything that every character said and did rang true. It was fate that maybe overplayed its hand …. ‘Policy and Passion’ is a very fine drama – I’m not sure if it’s ever been dramatised, but it would work beautifully on stage or screen. I loved it on the page, and I definitely plan to find out more about Rosa Praed and her other books.